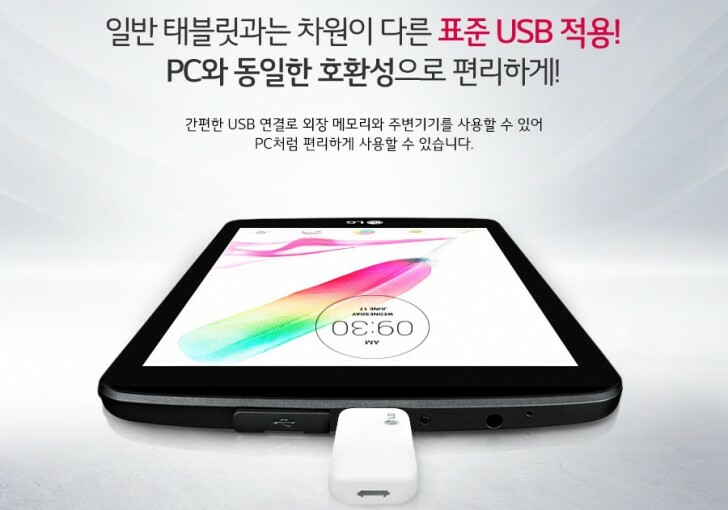 LG launches an updated LG G Pad II 8.0 slate in South Korea. The first look through its specs sheet reveals minor upgrades over its predecessor, but once we dig deeper we found some interesting new features. The G Pad II 8.0 packs the same 8" 1280 x 800 px IPS display as its predecessor, protected by a piece of Gorilla Glass 3. It is powered by the same old Snapdragon 400 chipset with a quad-core 1.2GHz Cortex-A7 CPU and Adreno 305 GPU, but comes with 50% more RAM at 1.5GB. The internal storage of the new G Pad II 8.0 is also doubled at 32GB and there's microSD expansion up to 128GB. The tablet also comes with GSM/3G/LTE support and has an embedded thin capacitive stylus. The rest of the specs include a 5MP main camera, a 2MP front snapper, a 4,200 mAh battery and Android Lollipop. One of the new G Pad II 8.0 key features is the full-sized USB 2.0 port, which can handle external keyboards, mice and flash drives. No adapters required. LG is promising full-blown Microsoft Office suite for the G Pad II 8.0 as well as enhanced Quick Memo app, Knock Code and Qpair, among others premium software features. 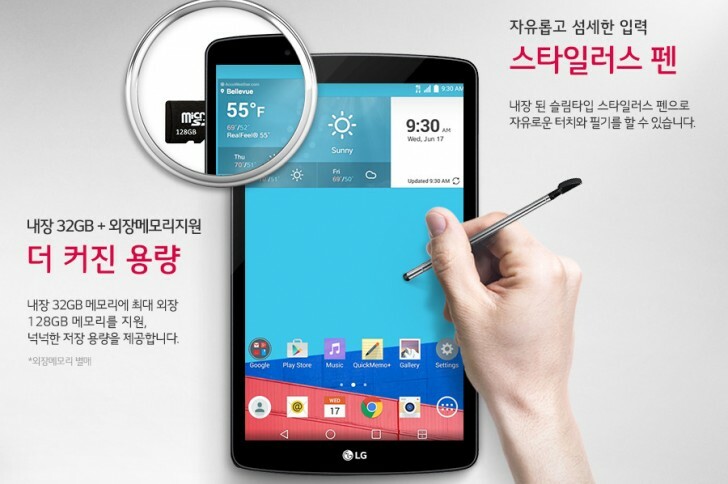 LG G Pad II 8.0 will hit the shelves in South Korea very soon. There is no word on an international release, but since its predecessor went global there is a good chance the sequel does it too. can this guy make phone calls & sms?? ?